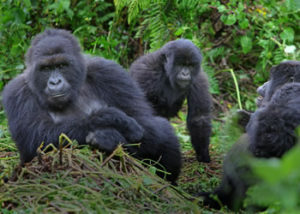 6 Days Uganda Safari featuring thrilling adventure activities you must not miss while on a tour to Uganda. 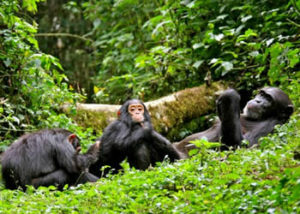 Activities include Tour the magnificent top of the Murchison Falls, Game Drive & Launch Cruise, Chimps Tracking in Kibale and mountain gorilla trekking in Bwindi national park. 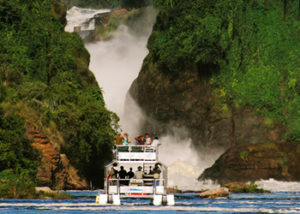 After your lunch, take a game viewing launch cruise on the Nile. Possible sighting includes the crocodiles, waterbucks, giraffe, and the hippopotamus. Dinner and overnight at Paraa Safari Lodge(luxury) / Pakuba Safari Lodge(mid-range)/Red Chile Hide-out(budget). After a morning breakfast, you will drive to Fort portal town with lunch en route in Hoima. 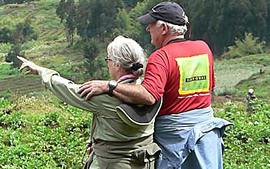 The journey will reward you with spectacular views of the magnificent scenery as you drive through the traditional homesteads and farms on your way to Kibale. Reach Fort Portal in the evening and then proceed to Kibale Forest National Park. Dinner overnight at Crater Safari Lodge(luxury),Primates lodge(mid-range), Chimpanzee Forest Camp(budget). Paradise Malahide is a charming and friendly guesthouse with 10 rooms – and 4 apartments. It’s well run, and with great food and a lovely location, and excellent value for money.